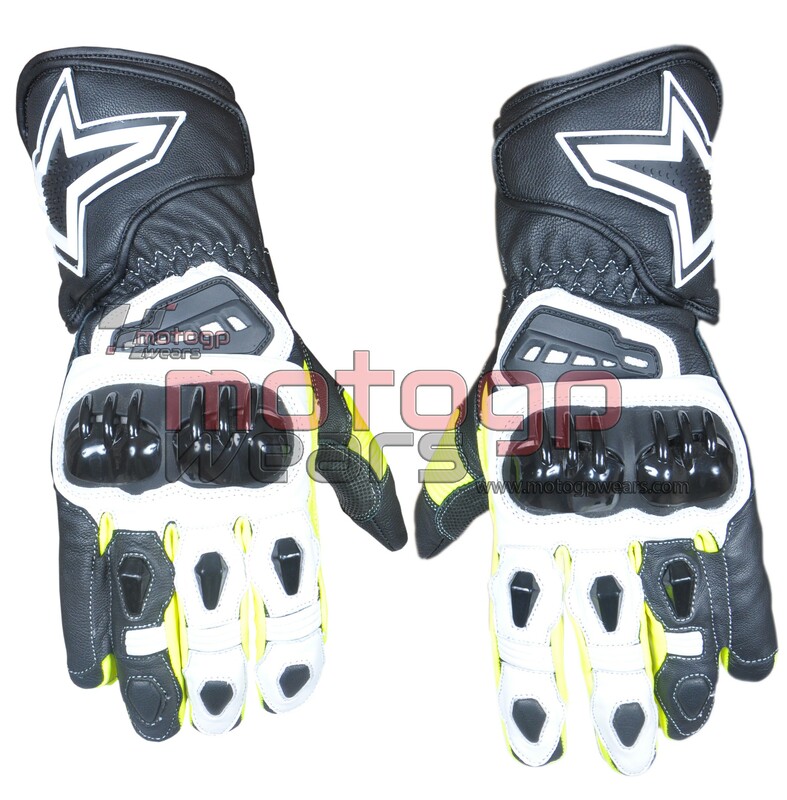 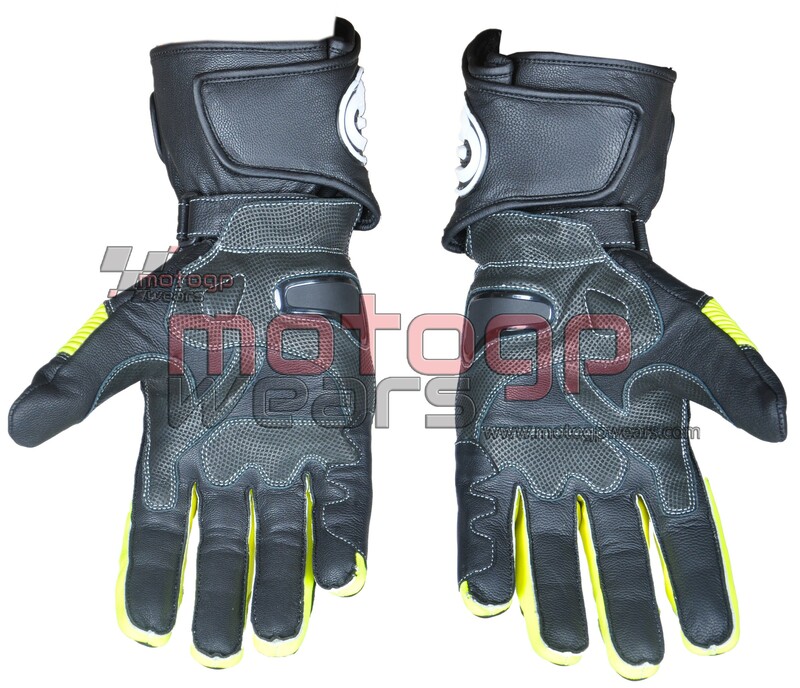 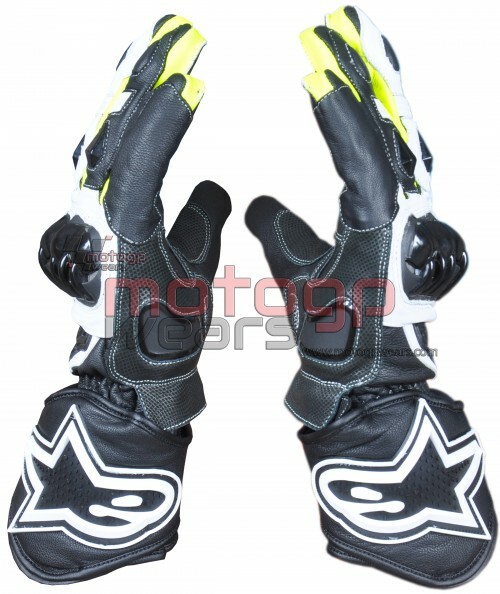 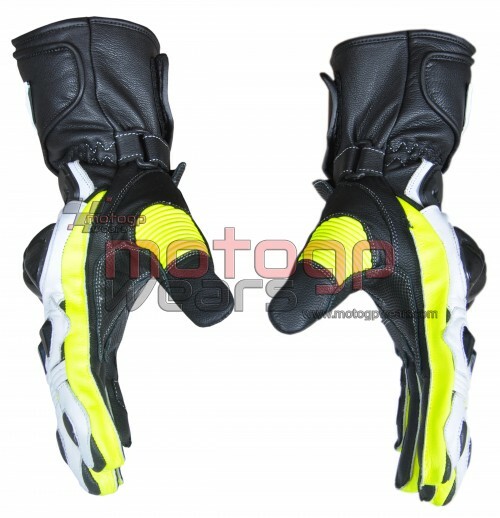 Gp Pro Motorbike Racing Leather Gloves MRLG1006 is especially designed for professional bikers to fulfill their biking passion on track with great safety. 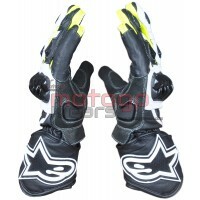 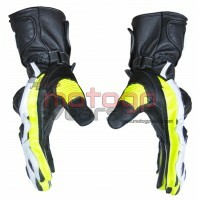 This gloves features excellent design & comfort, 100% genuine Cowhide leather. 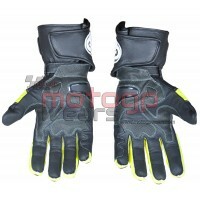 Long gauntlet-style leather glove for complete coverage, Injection molded poly carbonate knuckle for impact and abrasion resistance, Open back knuckle design for added flexibility, Vented finger protection with additional thumb protection, Premium leather palm with reinforced padding, Pre-curved leather finger sidewall, Wrist and gauntlet closures for added softy & Drum dyed leather top quality cow hide leather.Available in all sizes for both Men's & Women's.